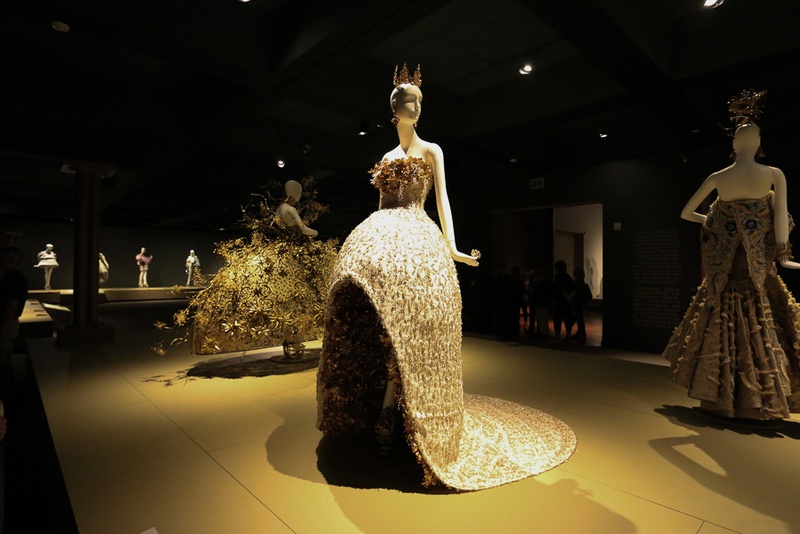 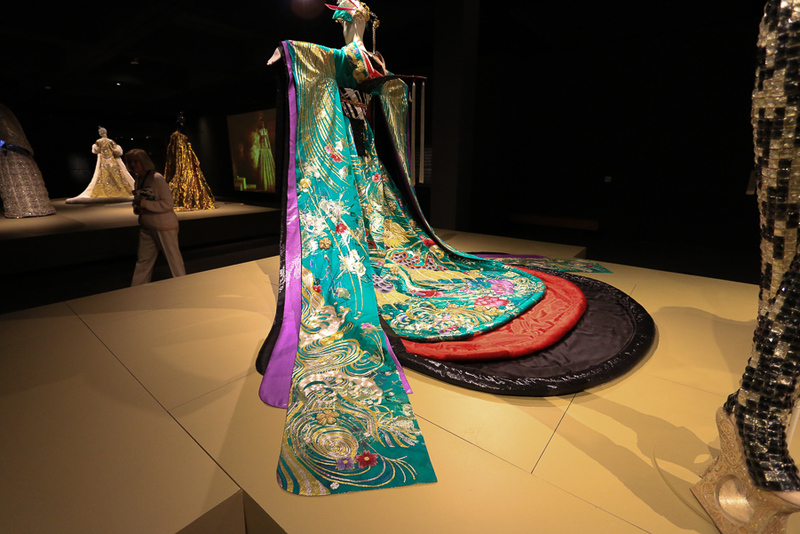 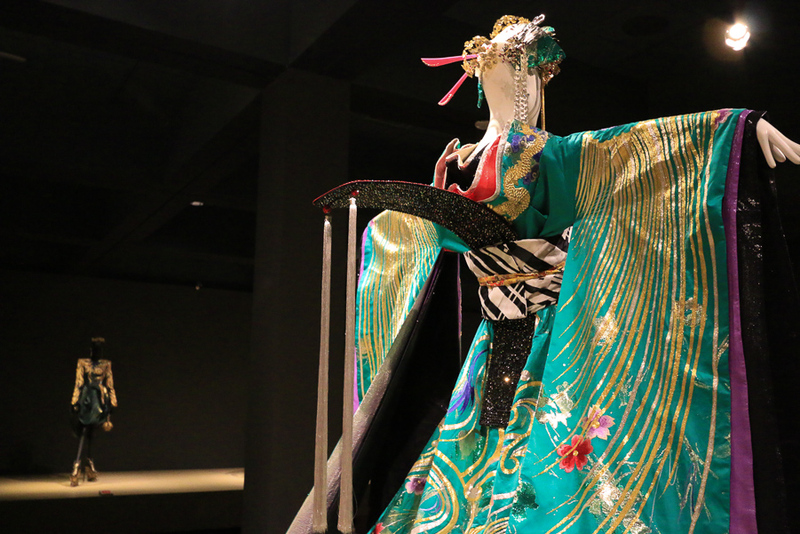 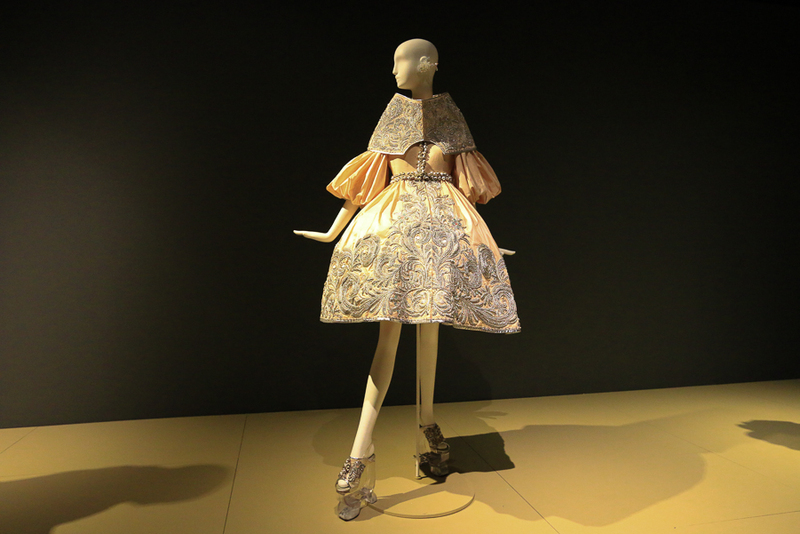 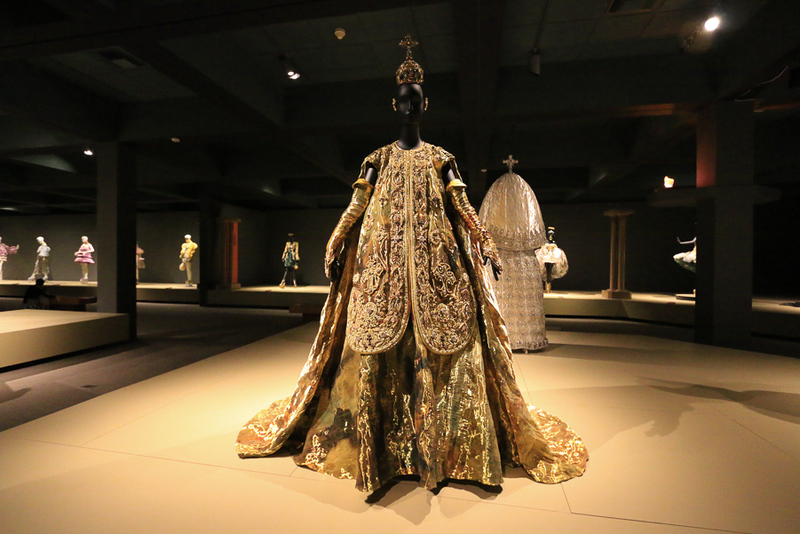 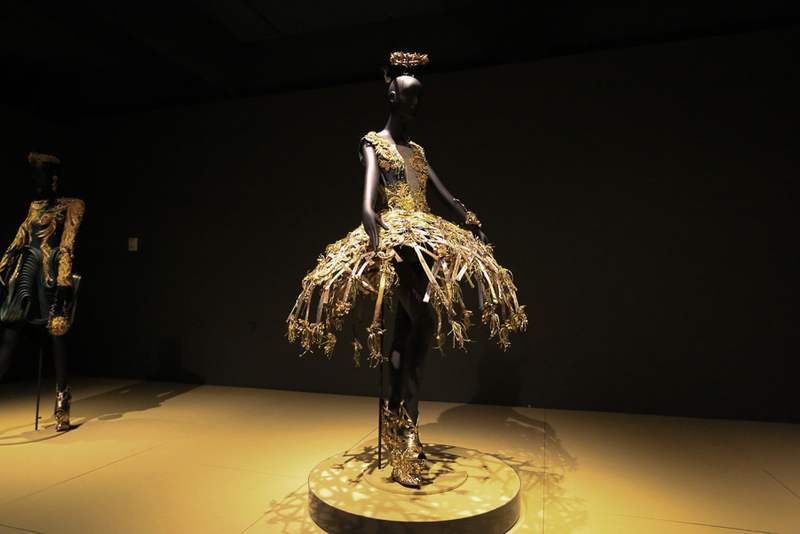 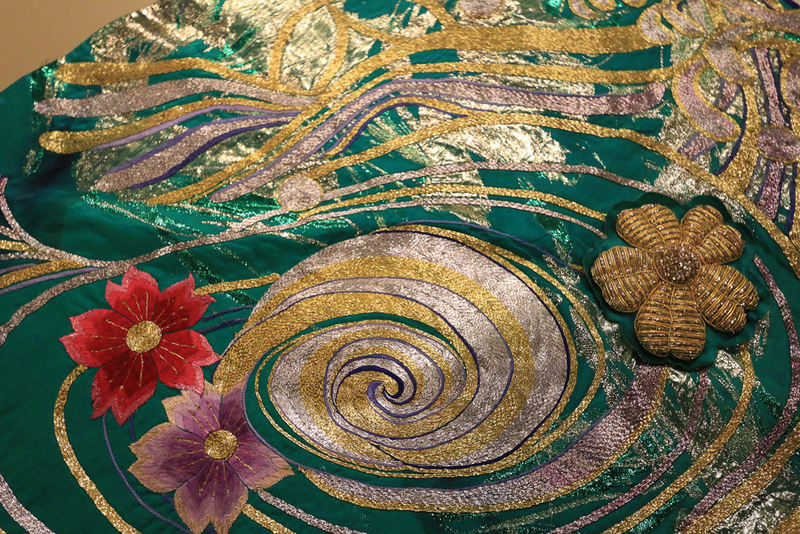 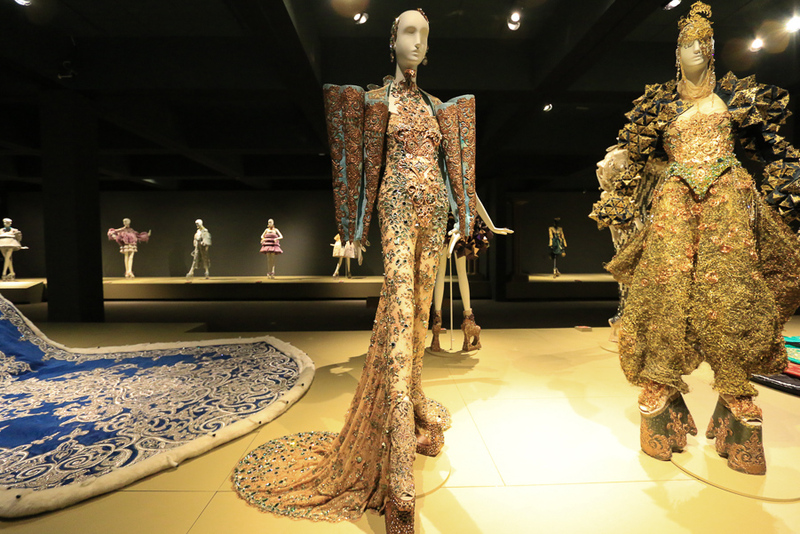 April 10, 2019 - Wednesday - We were in Santa Ana, CA today to see the Guo Pei: Couture Beyond exhibit at the Bowers Museum. 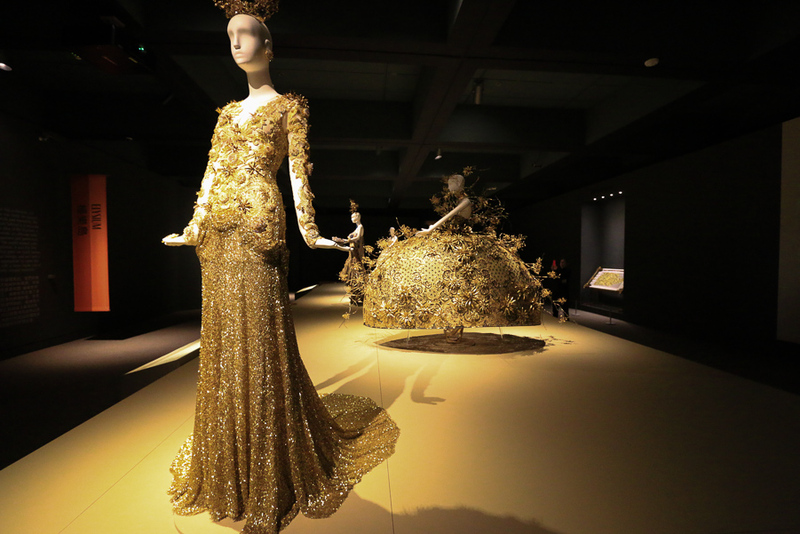 Guo Pei is a Chinese fashion designer best known for designing dresses for Chinese celebrities and in America for designing Rihanna's trailing yellow gown at the 2015 Met Ball. 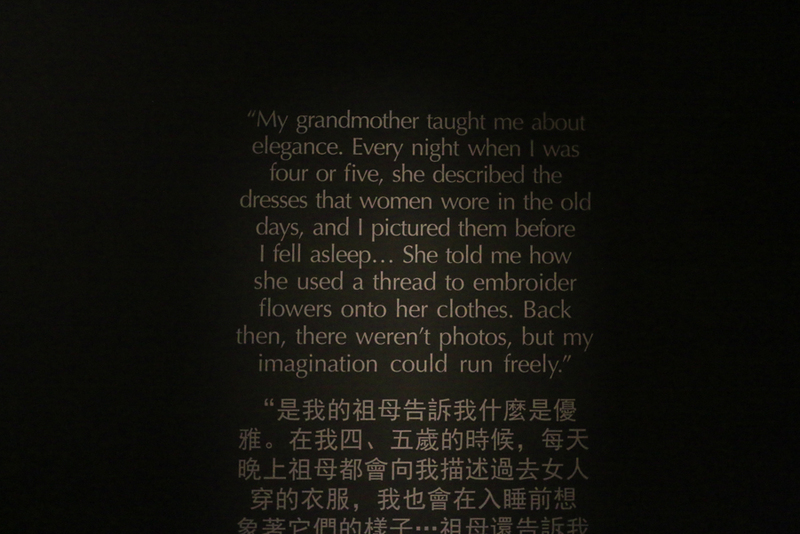 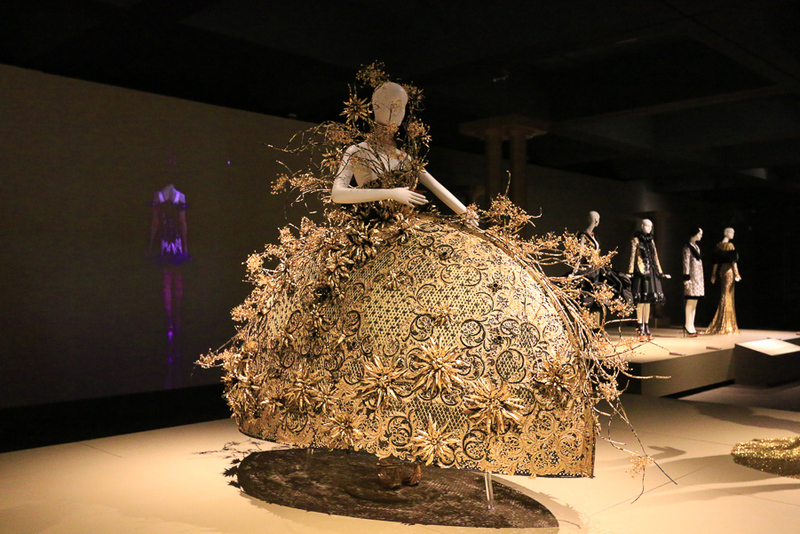 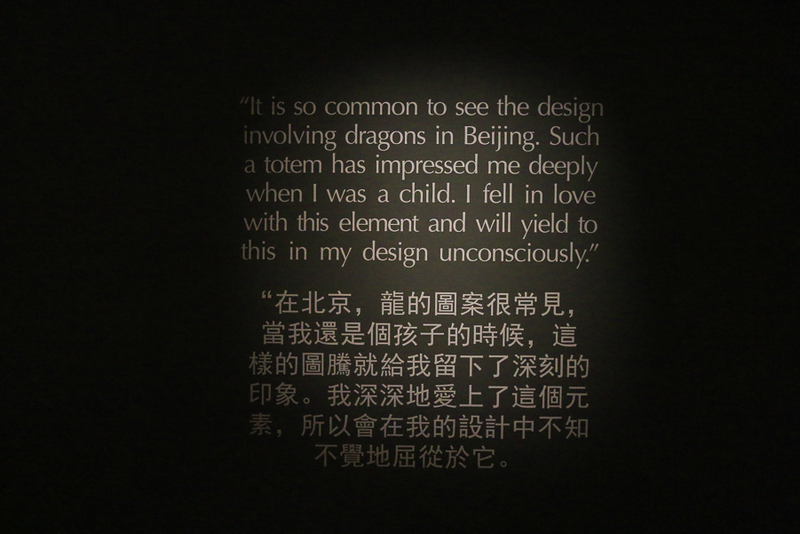 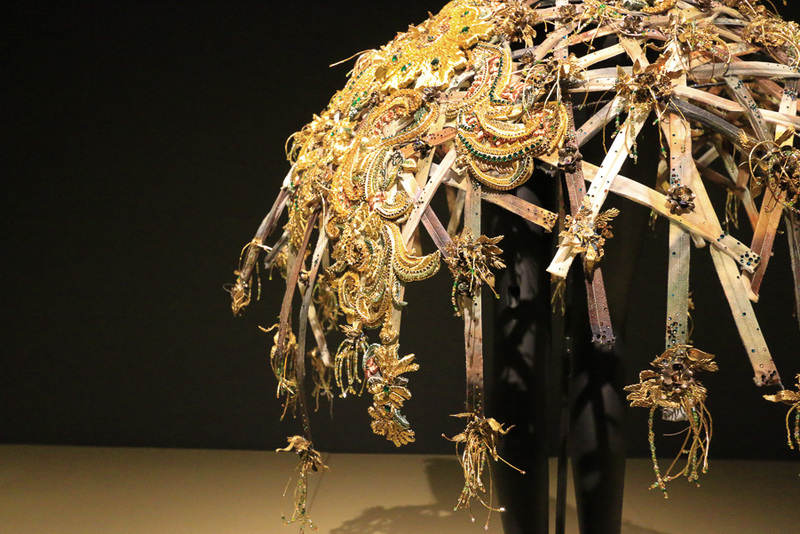 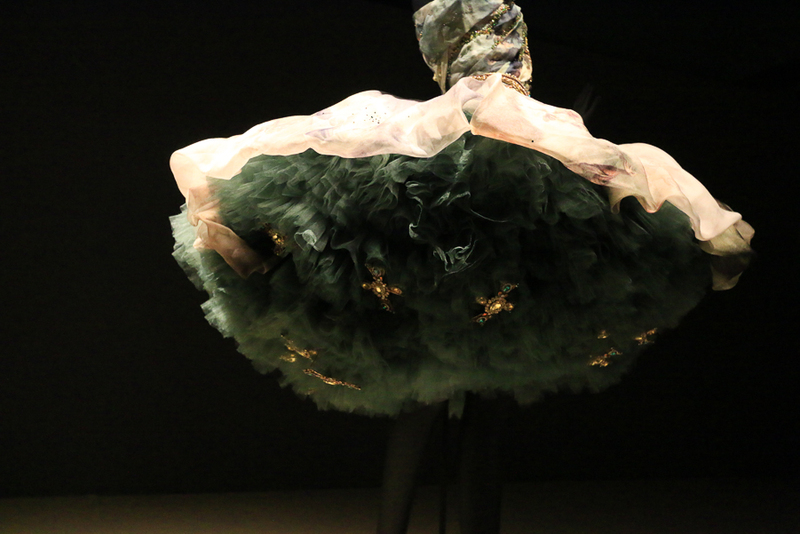 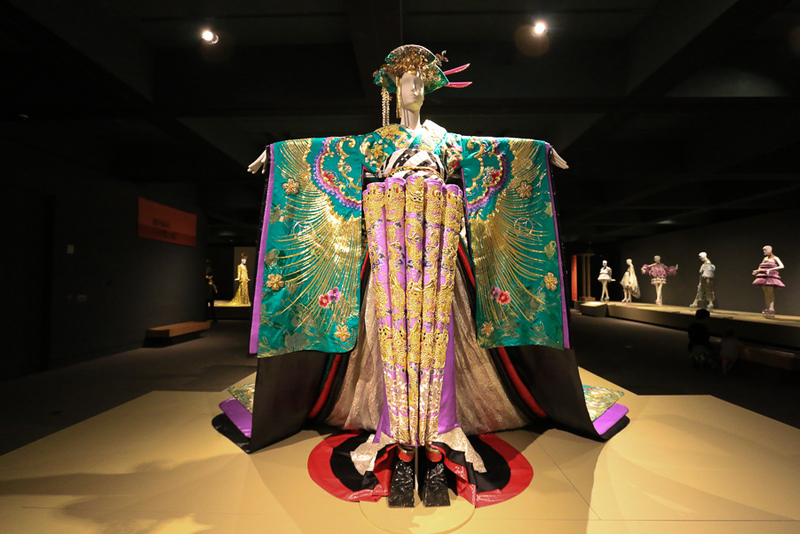 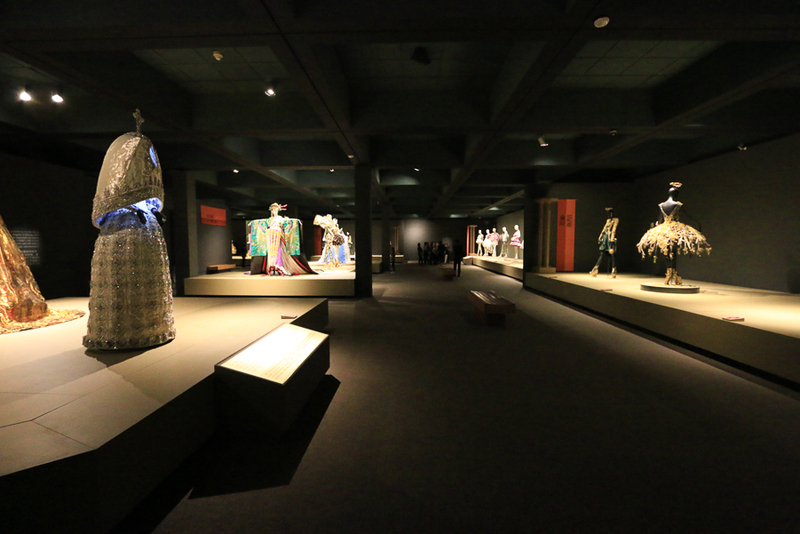 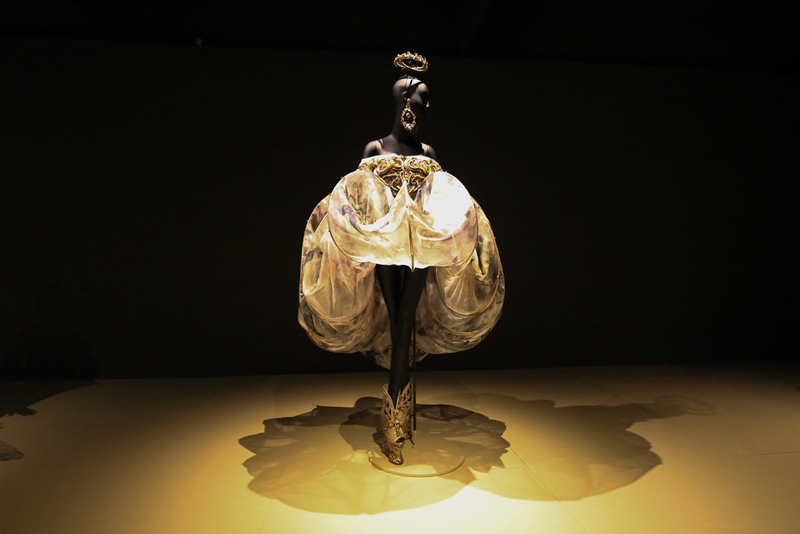 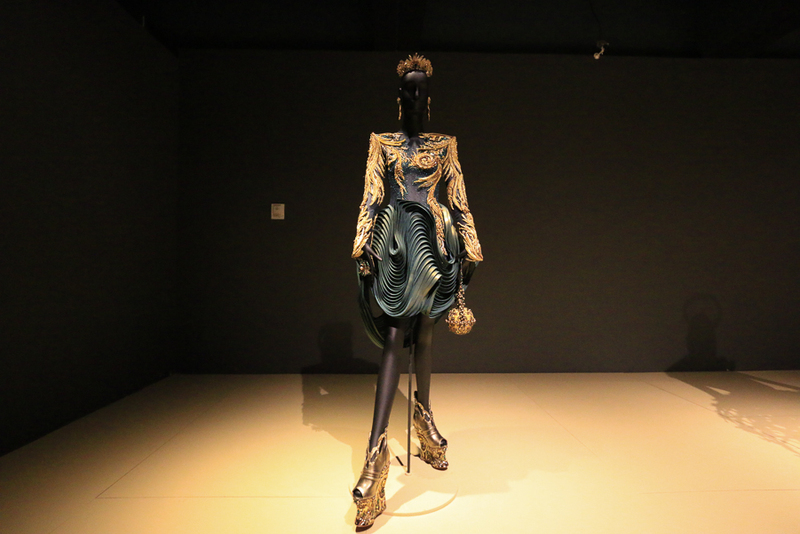 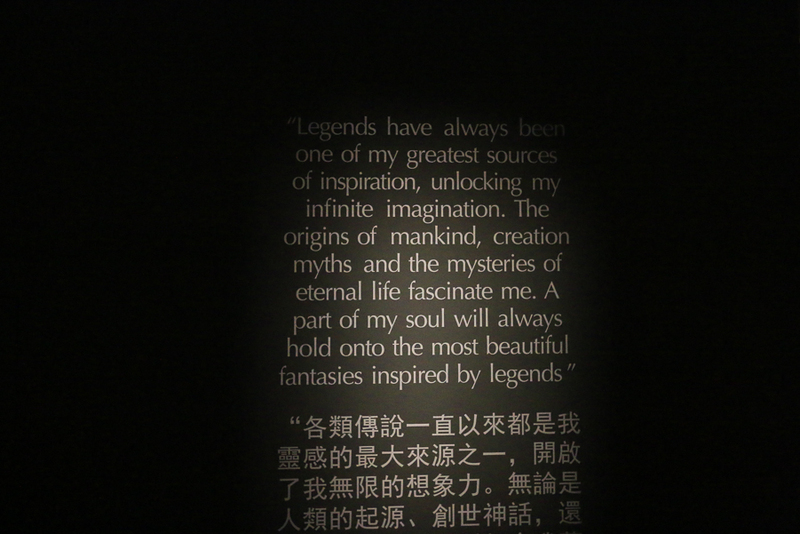 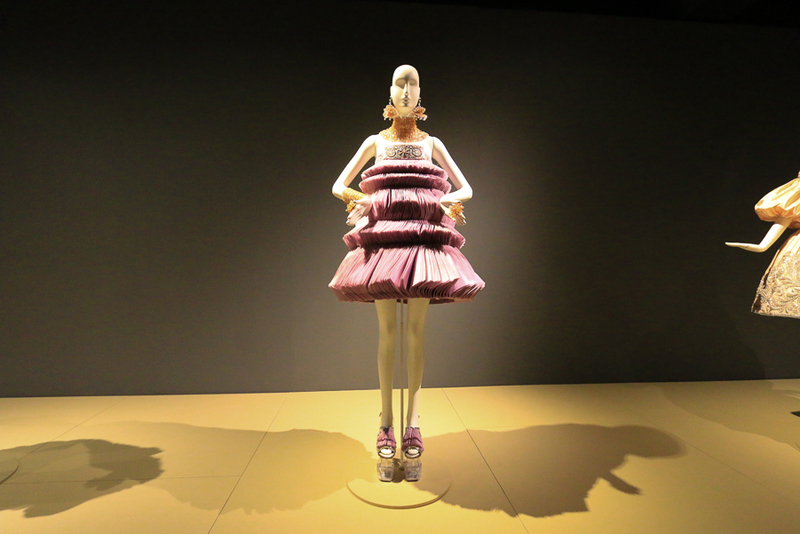 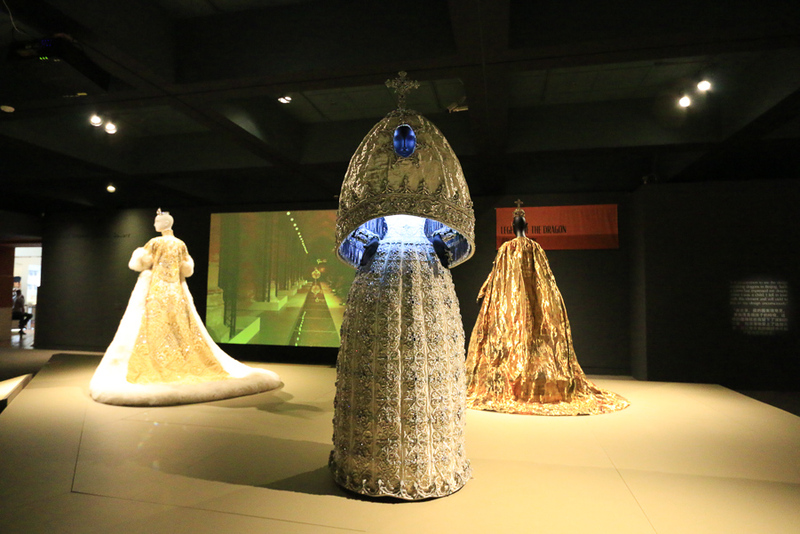 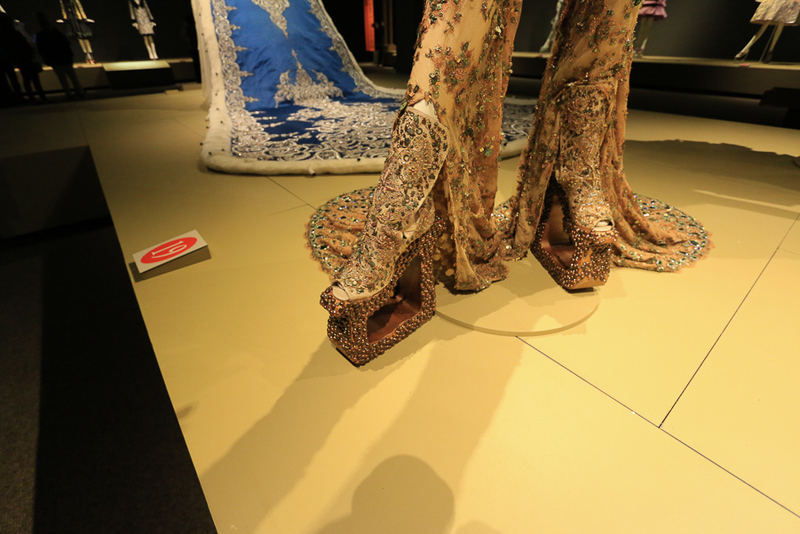 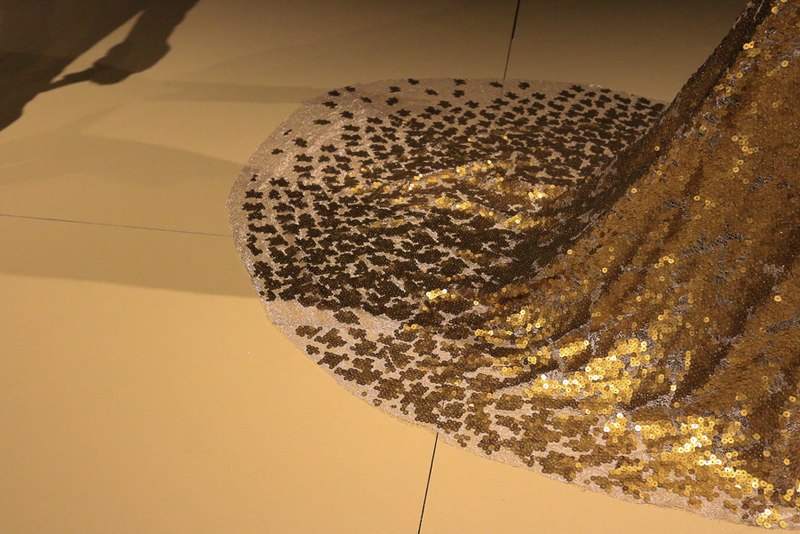 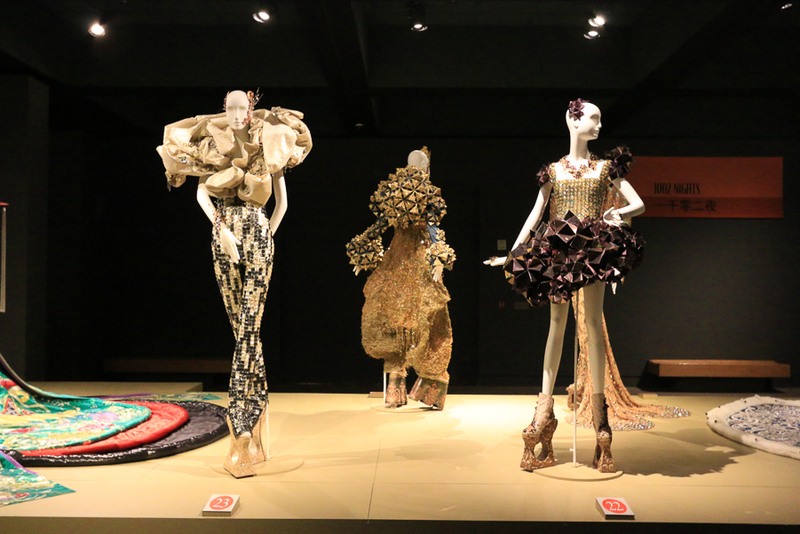 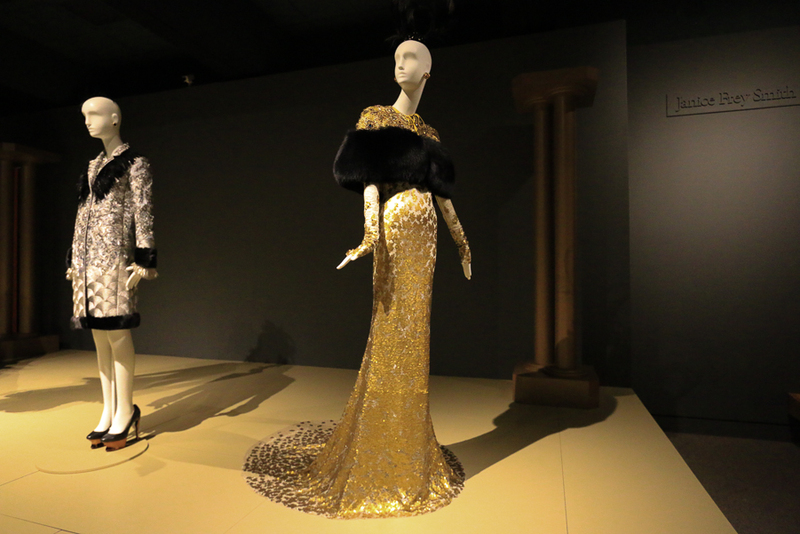 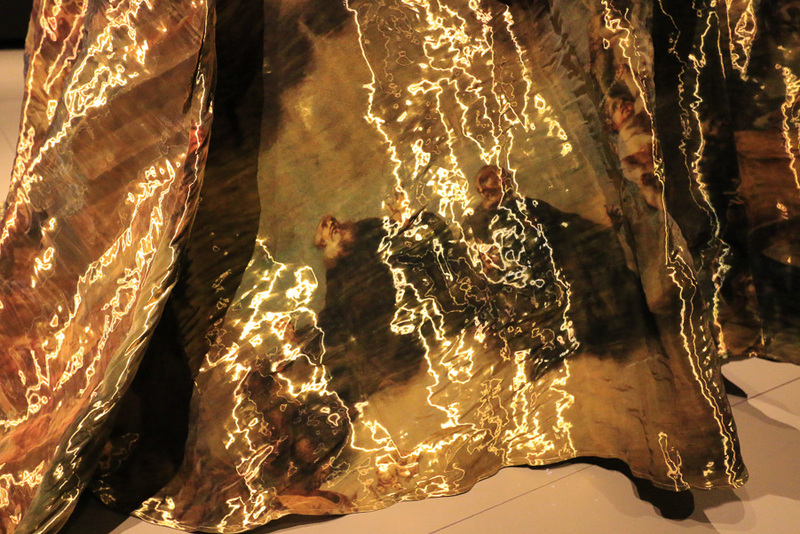 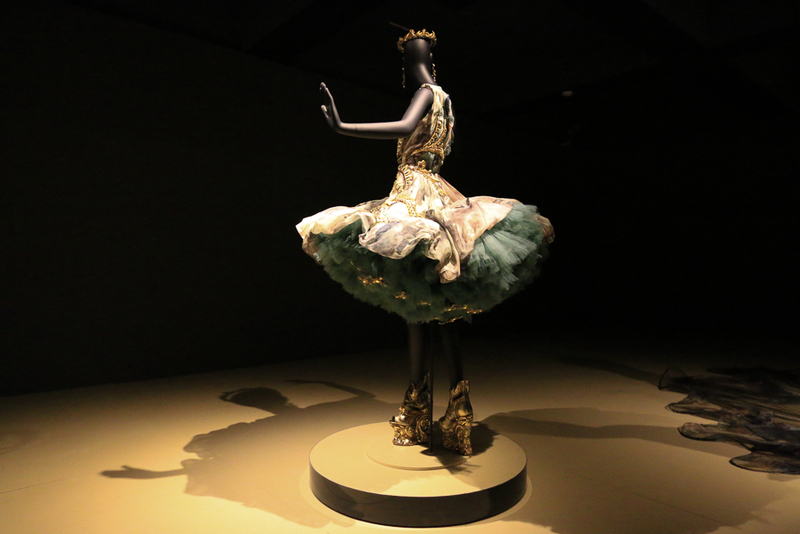 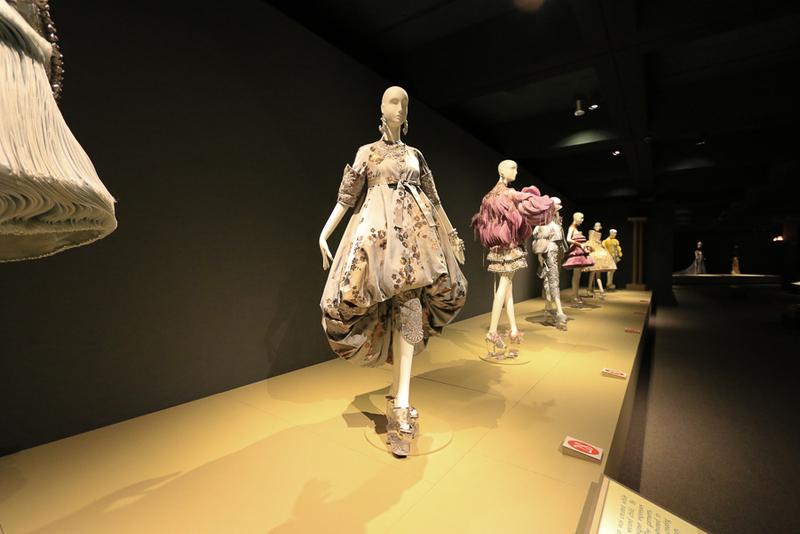 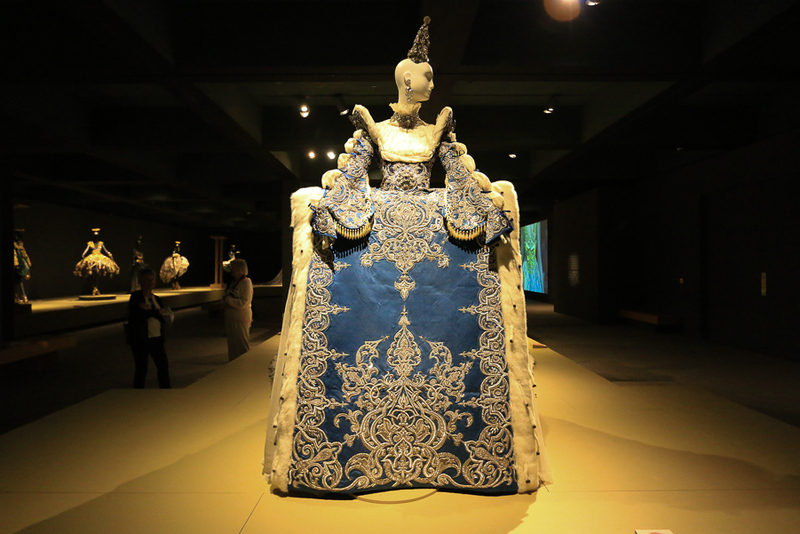 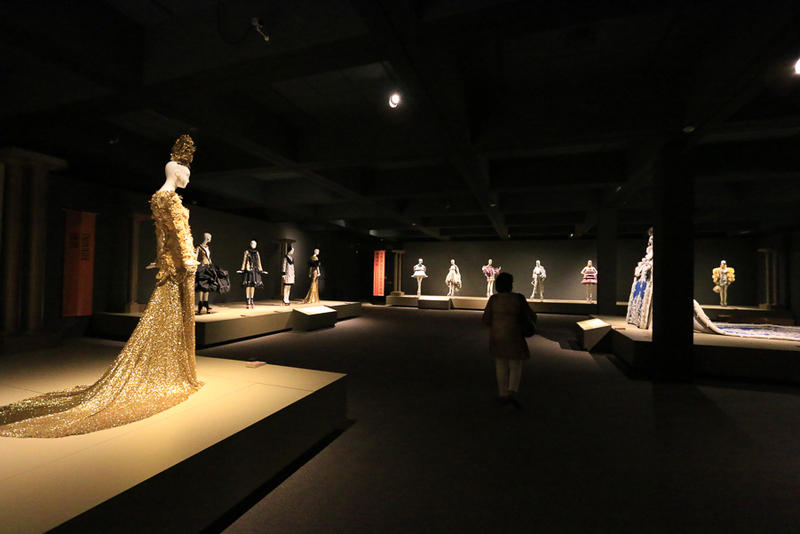 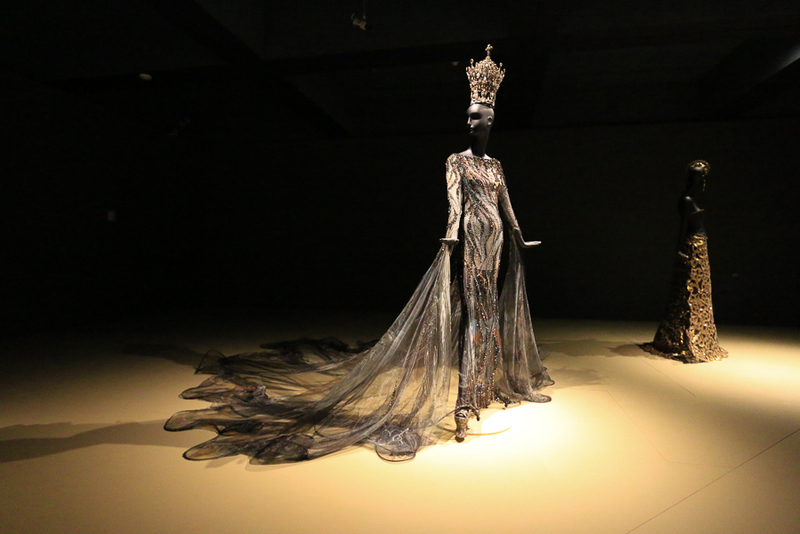 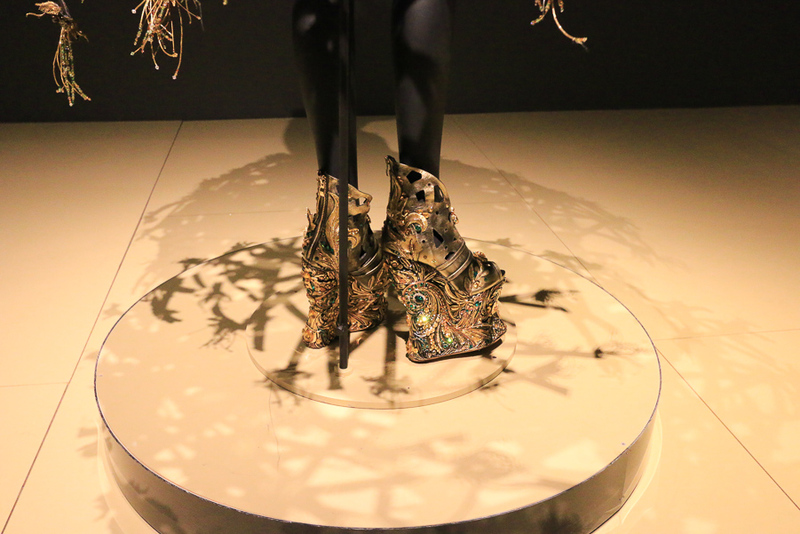 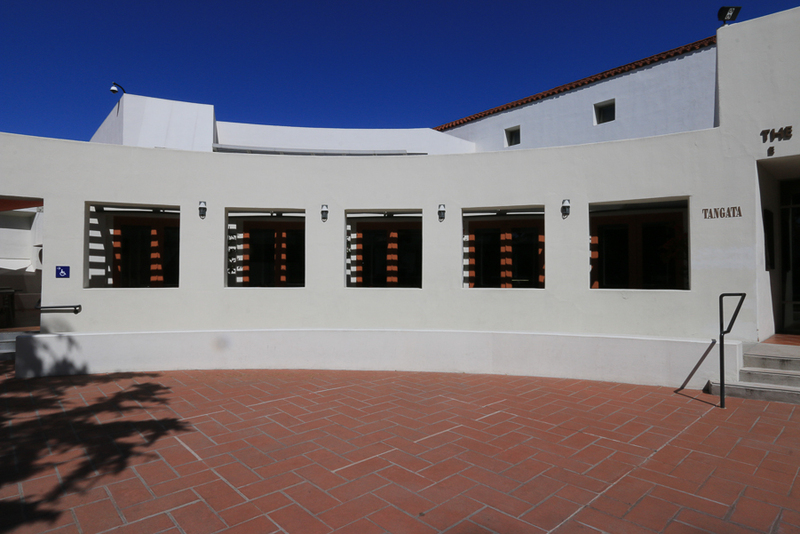 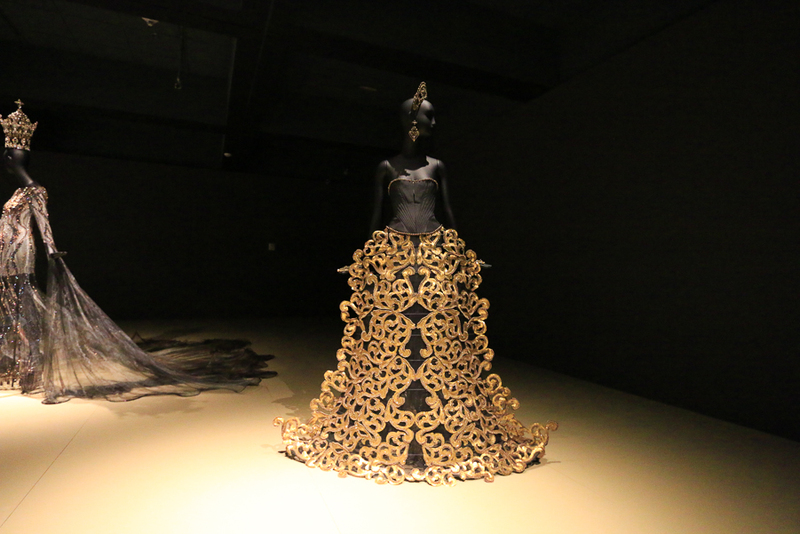 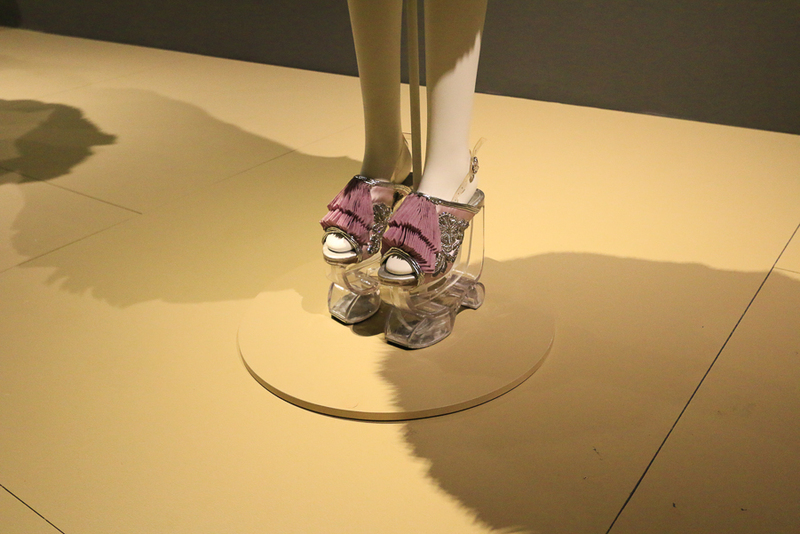 The exhibit highlights Guo’s impact on the fashion world and beyond, bridging the divide between East and West. 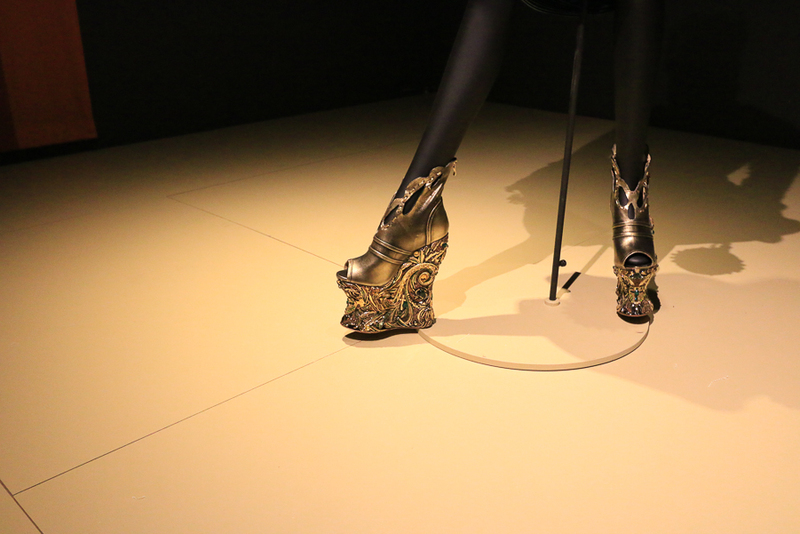 Her shoe designs really caught my eye, since they're integrated with the dress design. 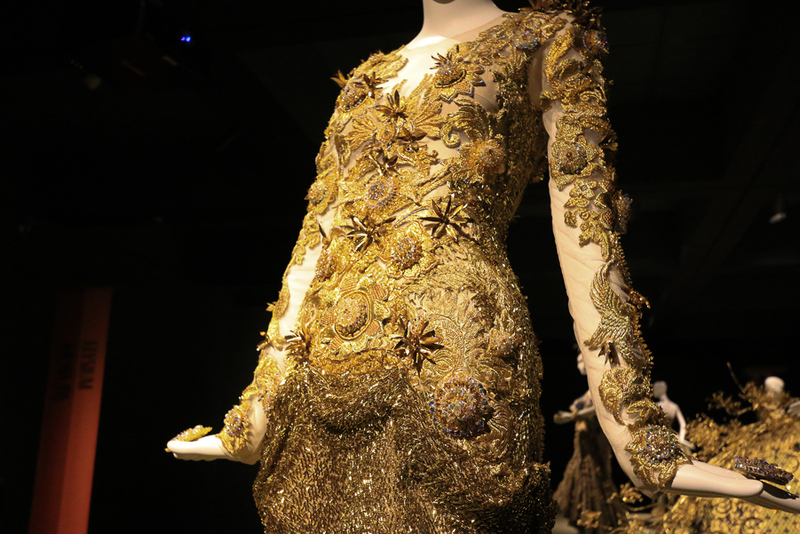 Generally speaking, her outfits start around $500,000 and can go into the millions. 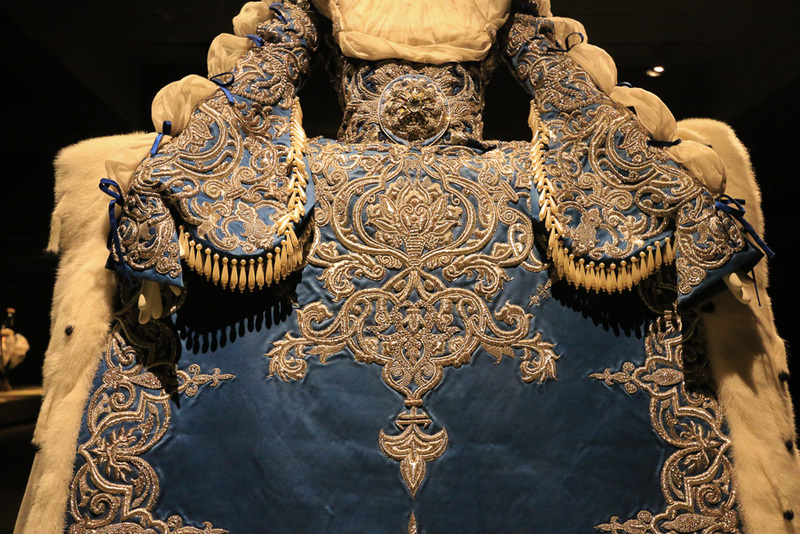 They can weigh between 25 to 50 pounds. 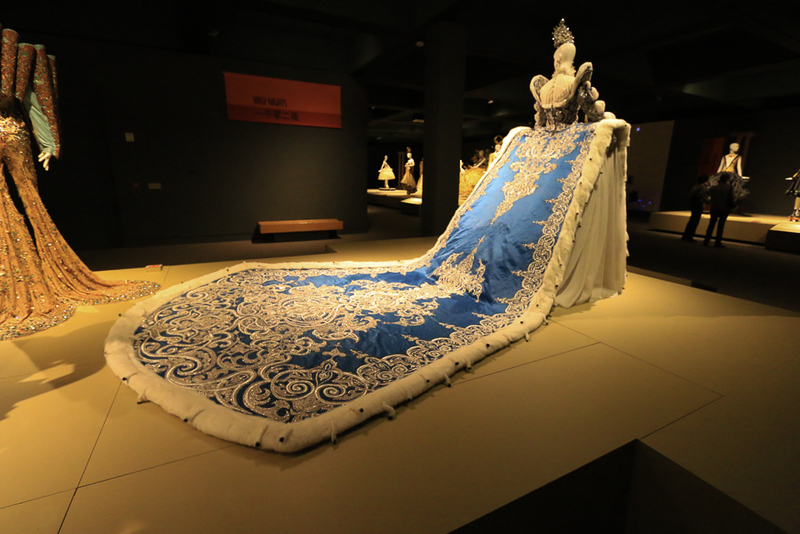 Some of the hand embroidery takes up to 50,000 hours for one dress. 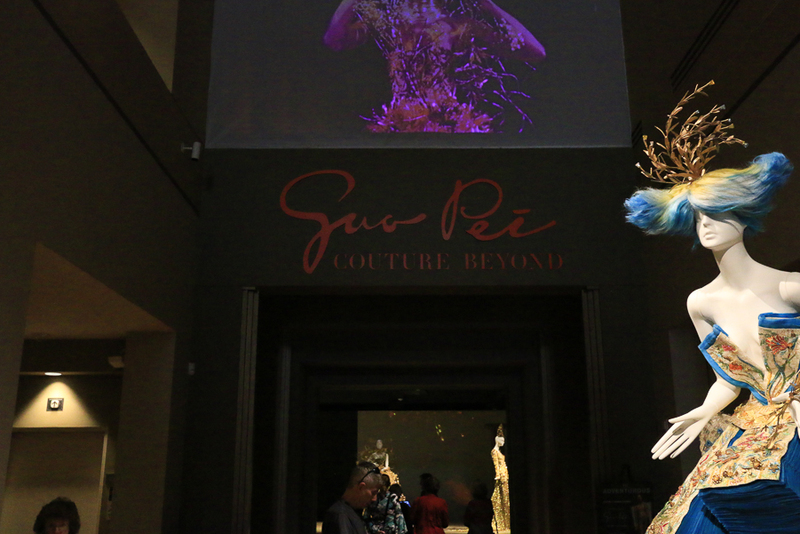 Needless to say, this show blew us away, we loved it. 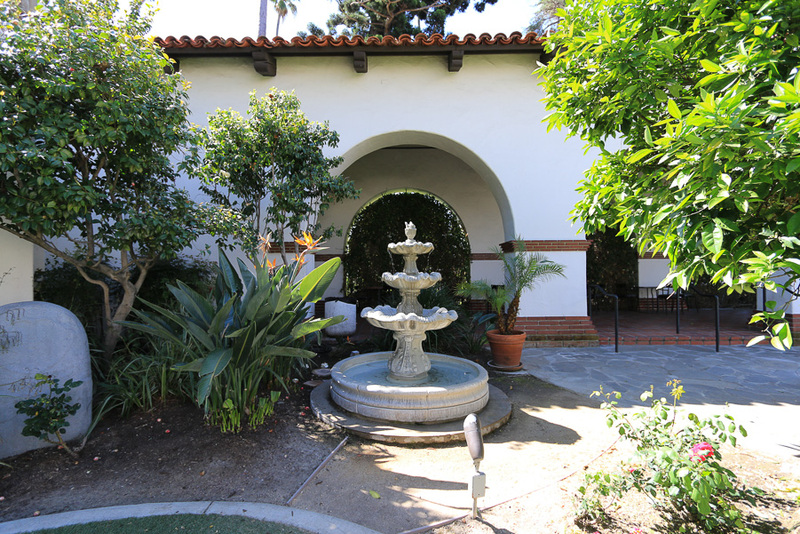 Since we had just gone to Norm's Restaurant last week, today we decided to have lunch at the Tangata Restaurant at the Bowers. 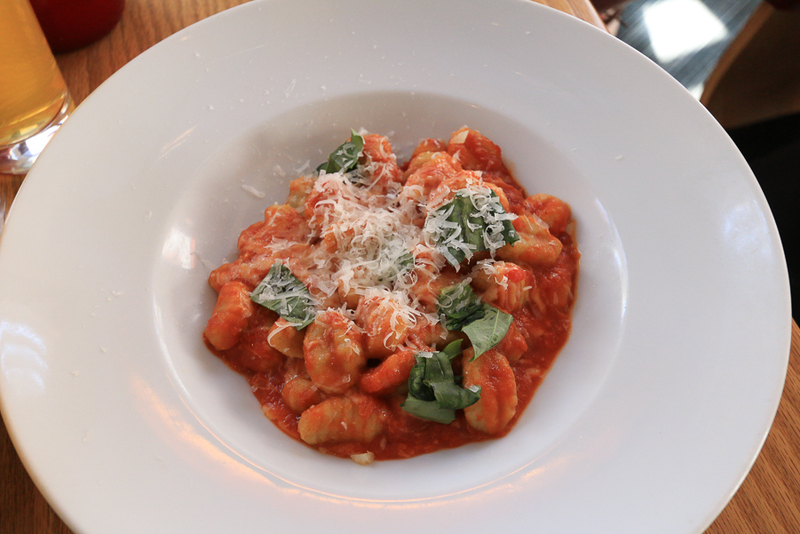 Judy's choice was their "Potato Gnocchi," with tomatoes, fresh mozzarella, basil and Parmesan cheese. 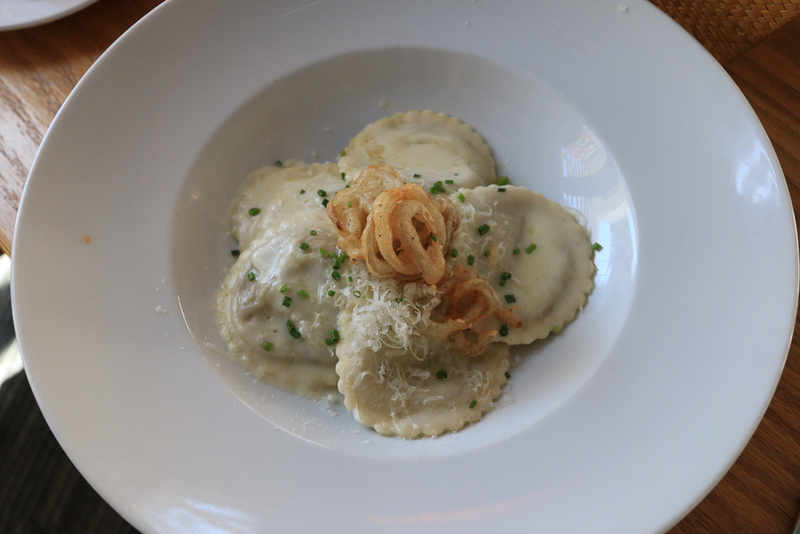 My choice was their "Wild Mushroom Ravioli," with wilted spinach, crispy shallots, Parmesan cheese, and a truffle nage.